A self-financed sports-and lifestyle company was founded by Andrej Matijczak, Joshua Cornelius and Mehmet Yilmaz in 2013 , is now one of the world’s popular fitness app. 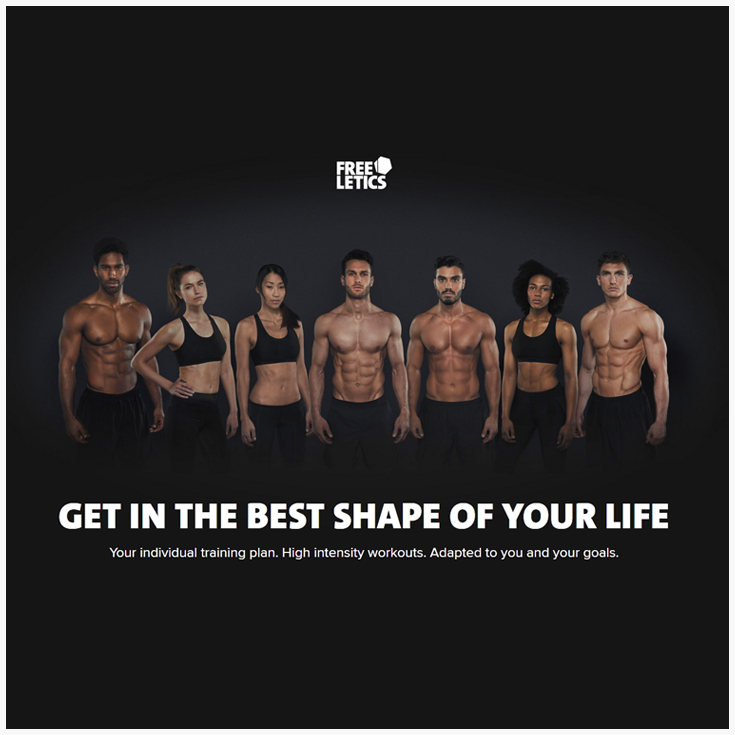 Whether you are looking for heavy-workout schedules, weight-reduction tips, interval training (HIIT) with option to build strength, or, focus on cardiovascular endurance- the experts at Freeletics offers the best of best physical and mental training plans and advices with multiple options. Being successful in helping people to become a stronger version of them(physically and mentally) with their fitness app, Freeletics also powers an online shopping portal offering a range of fitness products. Thriving to empower people shape their life and help them build confidence, fitness and willpower- the company started getting better response for their online store, too. The increasing number of sales orders made it difficult for the company to track inventory in real-time. Managing stock requirements and communicating with their fulfillment service with customer’s details for every order, was a major challenge- consuming them more of time and costs. Freeletics needed a centralized system that would allow integration with Shopify and ease export of data. No later after deciding the company needs a centralized system, the team explored Orderhive and interacted with our experts. They performed a careful analysis of their business requirements and came to conclusion that we could tweak Orderhive to suit Freeletics’ needs. Our technical team developed FTP integration and custom invoice templates as per company’s demand. Finally, Freeletics was able to transfer order details with fulfillment service quickly, as well as, streamline invoice and returns management. What has changed? Quick shopify sync, accurate inventory and data management has surely helped Freeletics team save hours. Previously, they had to manually track sheets for stock requirements, communicate with fulfillment services, and prepare invoice for every sales orders, individually. Now, all can be done with just few clicks of the mouse! The company was desperately looking for a system that could allow easy transfer of order data to their fulfillment company. Considering this, Orderhive helped the company an easy integration with their fulfillment service provider through FTP technology. This allowed a quick and accurate export for new orders, as well as, import of shipped order details. Apart, for allowing an innovative customized order workflow, Orderhive also helped the company an ability to generate customized invoice templates for each store, separately. Freeletics believes Orderhive has surely eased their major back-end tasks and helps them utilise more time on increasing sales and brand value for their business. Want to know more about Freeletics? Click here.